How can JAVAcid™ make any coffee stomach-friendly? Patent Pending JAVAcid is great for reducing the acidic effects of any coffee. Just empty one packet of Javacid in your favorite coffee beverage and feel how it works to gently calm your stomach without impacting the great coffee Taste & Aroma you love. You don’t have to limit yourself to using home brewed low acid coffee like Hevla Coffee®, Simply Smooth®, Gentle Java® or Puroast®. 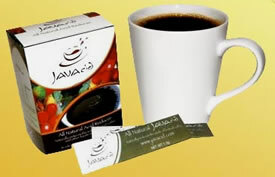 Just stir in a JAVAcid packet to any coffee or coffee drink, even mocha, latte and espresso! JAVAcid is an all natural acid reducer comprised of DGL, Calcium, Vitamin D, natural resistant maltodextrin and prebiotic fiber to help minimize acid production, prevent the painful effects of excessive stomach acid and regulate digestive health. JAVAcid is also great to help the body provide support against many types of acid related stomach disorders like gerd and indigestion. Decreasing extra stomach acid can help relieve symptoms such as stomach pain, heartburn, difficulty swallowing and trouble sleeping. It can also prevent serious acid damage to your digestive system. All of the ingredients in JAVAcid are Generally Recognized as Safe (GRAS) by the US Food and Drug Administration. JAVAcid comes in small, convenient, zero calorie packets that you can carry in your pocket or purse, so you can use it anytime, anywhere, with any coffee beverage. Just sprinkle, stir and enjoy! JAVAcid contains only: Inulin Fiber (Prebiotic), Deglycerized Licorice root extract (DGL), Fibersol 2 (Resistant Maltodextrin), Vitamin D3 and Calcium Carbonate. DGL has a long history of use for reducing acid and soothing inflamed injured mucous membranes in the digestive tract. DGL may protect the stomach and duodenum by increasing production of mucin, a substance that protects the lining of these organs against stomach acid and other harmful substances. According to laboratory research, flavonoids in licorice may also inhibit growth of H. pylori, the bacteria that has been implicated in many cases of stomach ulcers. For people with peptic ulcer, many doctors who use herbal medicine use the deglycerized (deglycyrrhizinated) form of licorice (DGL). In making DGL, the portion of licorice root that can increase blood pressure and cause water retention is removed, while the acid reducing, mucous-membrane-healing part of the root is retained. In some reports, DGL has compared favorably to the popular drug cimetidine (Tagamet) for treatment of peptic ulcer. After DGL and cimetidine were discontinued in the test subjects, one study reported fewer recurrences in the DGL group than in the cimetidine group. 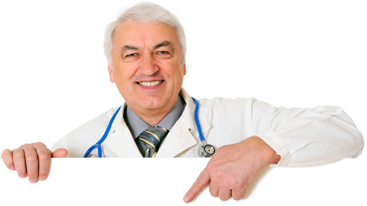 Though not every trial has reported efficacy, most studies find DGL to facilitate healing of peptic ulcer. A review of the DGL research shows that the studies not reporting efficacy used capsules, and the trials finding DGL to be helpful were done with the DGL coming into contact with saliva as it does in JAVAcid. Inulin is a form of dietary fiber derived from chicory root. Inulin is a naturally occurring carbohydrate. It has the ability to activate the “good bacteria” in the digestive tract, which is critical to the gut health of people with excessive stomach acid. Fiber also helps absorb excessive acid so that it can be passed out of the stomach and through the gut. It also has been shown to increase the bioavailability of calcium, which can work favorably in reducing the autotoxication acid forming process. So the Inulin works with the calcium in JAVAcid to contribute to gastrointestinal health. Fibersol 2 is similar to Inulin. It is a maltodextrin-like oligosaccharide which is also known for its ability to promote healthy intestinal flora, which can get compromised in people with excessive stomach acid. In vitro (test-tube studies), Fibersol-2 fermentation increased total short-chain fatty acid production compared with gum arabic. Researchers noted Fibersol-2, as well as Inulin supplementation led to increased concentrations of Bifidobacteria. This is one of the “good bacteria” that help us digest our food. Increased amounts show an increase in general bowel health. Calcium carbonate is commonly found in foods, and has a long history of reducing stomach acid when consumed. It works by binding (combining chemically) to excess acid produced by the stomach. This neutralizes the acid and decreases the acidity of the stomach content. The alkalizing properties of Calcium may also help reduce the autotoxication process. This occurs when the body cannot process all the acid in food and stores excess acid in tissues. JAVAcid includes Vitamin D3 to maximize the absorption of Calcium and for the vitamins other established health benefits. Vitamin D is found in very few foods and is increasingly considered to be a vital supplement. Vitamin D is essential for promoting calcium absorption in the gut and maintaining adequate serum calcium and phosphate concentrations to enable normal mineralization of bone and prevent diseases caused by abnormally low levels of calcium in the blood. It is also needed for bone growth and bone remodeling. Without sufficient vitamin D, bones can become thin, brittle, or misshapen. Together with calcium, vitamin D also helps protect older adults from osteoporosis. Vitamin D has other roles in human health, including modulation of neuromuscular and immune function and reduction of inflammation. Many genes encoding proteins that regulate cell proliferation, differentiation, and apoptosis are modulated in part by vitamin D.
"GRAS" is an acronym for the phrase Generally Recognized As Safe. Under sections 201(s) and 409 of the FD&C Act, any substance that is intentionally added to food is a food additive, that is subject to pre-market review and approval by FDA, unless the substance is generally recognized, among qualified experts, as having been adequately shown to be safe under the conditions of its intended use, or unless the use of the substance is otherwise excluded from the definition of a food additive. GRAS substances are distinguished from food additives by the type of information that supports the GRAS determination, that it is publicly available and generally accepted by the scientific community, but should be the same quantity and quality of information that would support the safety of a food additive. Additional information on GRAS can be found on the GRAS Notification Program page. JAVAcid is not affiliated with Hevla, Puroast, Simply Smooth, Starbucks, Gentle Java, and/or any other non-JAVAcid brand products. These product names may be trademarked or otherwise protected by the respective holder.